Everything you need to polish and coat paint, wheels, and glass! Pinnacle Black Label Diamond Coating Elite Kit represents the best that surface care enhancement has to offer. This all-inclusive car coating kit includes the most advanced paint, wheel, and glass coatings available, along with the necessary polish and applicators for proper application. With this kit you’ll be able to coat your vehicle’s paint, wheels, and glass with the best car coatings the world has ever seen. Black Label Surface Cleansing Polish is a non-abrasive, water-based polish that gently removes embedded dirt and grime, restoring a natural brilliance to your vehicle’s paintwork. Use this thick cream to prep your vehicle’s paint, wheels, and glass for application of a Black Label Diamond coating. Water-based formulation promotes proper bonding thanks to its wax, silicone, and oil free formula; polished surfaces can be coated immediately after application. Black Label Diamond Paint Coating is a ceramic coating that creates an extremely glossy, impenetrable layer of protection on your vehicle’s paint. Formulated using the most advanced nano-glass ceramic particles available in a paint coating, Diamond Paint Coating shields your vehicle against UV rays, airborne contaminants, dirt, acid rain, road salt, and other common pollutants that attack your vehicle on a regular basis. Spray and wipe application lasts up to 3 years! What’s more, a single 4 ounce bottle is enough to coat up to 15 vehicles! Black Label Diamond Glass Coating creates an extremely slick, impermeable barrier of protection on exterior glass surfaces that prevents dirt and moisture from sticking. Formulated using state-of-the-art nano-glass ceramic particles, treated glass surfaces will have increased chip and scratch resistance while exhibiting extreme hydrophobic properties. Spray and wipe application lasts up to 18 months! Diamond Glass Coating goes on so thin that a single 4 ounce bottle will coat up to 50 windshields! Black Label Diamond Wheel Coating blankets your wheels in a rock-hard barrier of protection that is impenetrable by ferrous brake-dust particles, road salt, tar or oil. Designed with brake-dust laden sports cars in mind, Diamond Wheel Coating and the layer of protection it creates makes laborious wheel cleaning a thing of the past. The super slick surface virtually eliminates brake-dust build up. Spray and wipe application lasts up to 18 months! A single 4 ounce bottle is enough to coat up to 100 wheels! The Lake Country Coating Applicator is a specially designed applicator for applying your favorite surface coating. Constructed using super soft open-cell gold foam, the Lake Country Coating Applicator ensures thin, even coats of your favorite paint, wheel, or glass coating are applied. The Lake Country Coating Applicator and its unique construction minimizes product waste, allowing you to maximize your investment. Our Gold Wax Finger Pockets are made of ultra soft foam that wipes on wheel coatings and works in fine polishes on wheels. Like our original finger pockets, the Gold Finger Pockets fit over 3-4 fingers and make it easy to apply products to tight spaces. The Miracle Towel set the standard for microfiber with a 70/30 blend of polyester and polyamide and a deep pillowy nap. Many manufacturers tried but they couldn’t recreate the softness of the Miracle Towel. Now the Miracle Towel has more of what you look for in a microfiber towel: a deeper nap, soft microfiber edge, and double-sided construction. Black Label Surface Cleansing Polish, 8 oz. Black Label Diamond Paint Coating, 4 oz. Black Label Diamond Wheel Coating 4 oz. Originally, Autogeek.net did not carry the Nanoskin Smooth Instant Detail Spray individually. This product was initially only sold in the Nanoskin Brilliant Shine Autoscrub Kit. After several customers had great results with the Nanoskin Brilliant Shine Autoscrub Kit we started to see high demand to carry the quick detailer included in this kit individually. 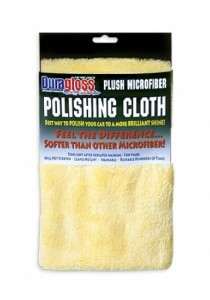 I had to see for myself what all the positive feedback was about, so I grabbed a bottle and decided to use it with the new Duragloss Plush Microfiber Polishing Cloth. I’ve used this SUPER Plush Microfiber Towel before and it’s turning into one of my favorite microfiber towels for Quick Detailers and Waterless/Rinseless Washes. The first thing I noticed about the Nanoskin Instant Detail Spray is the smell. I asked a few of my friends and we came to conclusion that this Quick Detailer smells like Grape Flinstone Vitamins! Everyone loved the smell. The next thing I noticed was the high level of lubricity. As I ran the Duragloss towel across my paint, the detailer never felt “grabby”; so inducing swirl marks or light scratches into my paint was never a concern. The detailer was never difficult to remove or smeared. After applying the detailer, I stepped back and was amazed at the level of gloss. The last product I applied to my red paint was Dodo Juice – Bouncer’s 22 Wax and my motorcycle looked great. After a thorough inspection, no swirl marks were induced. Then I checked the price! Only $9.99 for a 16oz spray bottle! This product easily outperformed the price. Then I checked the price for a gallon: $24.99!!! $24.99 for a 128oz bottle! I highly recommend checking out the Nanoskin Smooth Instant Detail Spray! Prima Hydro MAX Super Spray Polymer is a modified version of one of Prima’s most popular products, Hydro Seal Paint Sealant. Hydro MAX Super Spray Polymer contains the most concentrated blend of gloss-intensive polymers in any Prima car care product. Vehicles treated with Prima Hydro MAX Super Spray Polymer will retain incredible levels of gloss and slickness, month after month. Best of all, application is as simple as spraying on and wiping off! 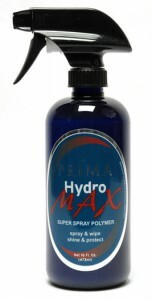 Prima Hydro MAX Super Spray Polymer is incredibly easy to apply – there’s no curing, rubbing or heavy buffing. Simply spray on and wipe off using a plush microfiber towel and you’ll be rewarded with a wet looking shine that lasts. Unlike a traditional spray on car wax or spray-on car paint sealant, Prima Hydro MAX Super Spray Polymer provides long-term paint protection; a single application of Prima Hydro MAX Super Spray Polymer lasts months, not weeks. Prima Hydro Max Super Spray Polymer only takes minutes to apply! Walk out to your garage with a Prima Hydro MAX Super Spray Polymer in one hand and a plush microfiber towel in the other and you’ll be equipped to blanket your vehicle in ultra-slick, high-gloss polymer protection. Prima Hydro MAX Super Spray Polymer can be applied to all non-porous surfaces. Use on glass, wheels, chrome, and virtually any other surface that benefits from added gloss, slickness and protection! Maintain the gloss, slickness and protection of Hydro MAX Super Spray Polymer with Prima Slick Quick Detail Spray. 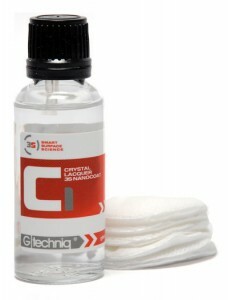 Gtechniq C1 Crystal Lacquer is a nano-active coating that cures to the paint finish to become the functional surface layer of the paint. This non-porous film stands between the elements and your vehicle’s finish, providing exceptional protection and gloss. Gtechniq C1 Crystal Lacquer lasts up to 10 times longer than dealer-applied paint sealants and offers extreme gloss retention, scratch resistance, water and dirt repellency, UV protection, and self-cleaning action. This thick, absorbent microfiber towel is perfect for any detailing step that requires removing liquids such as spray detailers, spray waxes or sealants and waterless washes. The thick, non-directional weave of the long, high-profile open-ended pile microfibers are capable of absorbing tremendous amounts of liquid deep into the nap, allowing you to get the job done faster! Thick abundant and plush microfiber strands in the Heavyweight Buff & Polish Towel allow dirt, dust and other particulates to bury deep into the nap. This protects your car’s scratch-sensitive clear coat finish. Each strand of these towels is open ended, not looped like some other towels. Open ended strands allow dirt and dust particles to be more easily released during washing, making these towels safe to use again and again. 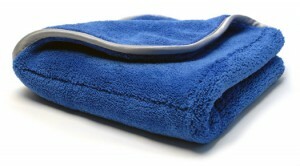 One side of the Safe Scrub & Polishing Towel offers a super soft microfiber nap. This short pile nap is incredibly soft and fluffy making it perfectly gentle to the most delicate clear coat finishes. The short pile length of the microscopic fibers use a blend of 75% Polyester and 25% Polyamide to create a towel that is incredibly soft and gentle while offering excellent absorption of liquids including spray detailers or spray waxes along with a gentle stoutness for removing more stubborn compound, polish and wax residues. The other side of the Safe Scrub & Polishing Towel offers a dual layer of honeycomb nylon mesh for safe but powerful scrubbing action for removing things like bug splatter, stubborn road grime and tar. The round honeycomb design of the nylon mesh works to slice into and remove unwanted surface contaminants without scratching delicate clear coat paints. Two towels in one makes this the perfect wash towel for rinseless washes. When it comes to using a rinseless wash, many professional detailers prefer to use a simple microfiber towel instead of a wash mitt, sponge or brush. Regular microfiber towels become very limp when saturated with wash solution. The dual-layer of honeycomb nylon mesh on the Safe Scrub & Polishing Towel provides a more substantial backing to the microfiber side making it easier to use and more effective when carefully washing body panels. For stubborn stains or areas with bug splatter simply flip the towel over to the nylon mesh side for extra scrubbing power. This video focuses on detailing a different kind of vehicle – a motorcycle! Motorcycles are intricate machines with many of the same detailing requirements as cars plus a few challenges of their own. In this video, Mike Phillips and Bobby Britt demonstrate motorcycle detailing products by S100. S100 products are a longtime favorite of motorcyclists because they are fast and effective. Watch the video to see how S100 plus a few choice detailing tools will make your bike shine.